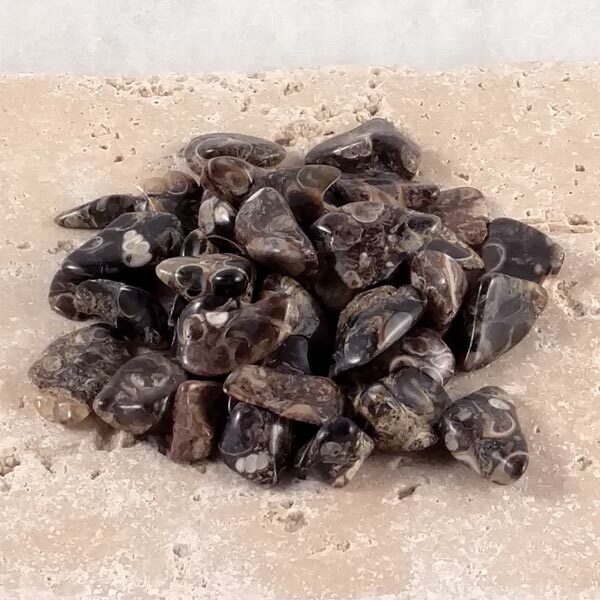 Sea Fossil healing tumbled stones that have come from Morocco. Each one has its own story to tell you and is filled with ancient shells from an old sea floor. Sizes, shapes, patterns and coloring vary. Most pieces are flat shapes. Size: Small, about 3/8 to 1/2 inch. Sea Fossils allow you to retain the whole picture from start to finish as you conceptualize things. A protective stone giving stability and structure to ones life and the ability to get what you need. An example of how nothing in nature is wasted and energy can not be destroyed. Utilized to recall past lives by awakening your psychic awareness. Sea Fossil is a sedimentary rock made of sand and clay that contains clams, shells and an endless number of sea organisms. Through their course of change, the shells from some of these creatures started as aragonite that has now been replaced by calcite. These fossilized remains are our evidence of the life forms that have come and gone through the ages. It brings us the awareness that by delving into the mysteries of Mother Earth, we tap into the source of all life. Like most gems, these are most beneficial when worn or laid upon the body. I find holding one in my left hand while meditating to have the most beneficial effects. Others I know find it best laying it on their First Chakra. You may find something different. They seem to know what each person who holds them requires. Sea Fossils help to get rid of negative attributes by transforming them into smooth and flowing energy. Sea Fossils tend to encourage your survival instincts. It will assist you in getting what you need, and the actions required. Sea Fossils can alleviate the birthing process and provide relaxation. They can also help to alleviate the depression that sometimes comes with the birth process. Additionally, they have been found to aid disorders of the lungs and limbs and to be helpful in degenerative disorders. Sea Fossils have an affinity with Aquarius. They are a good stimulus to architects and those who work in construction. Their Energy is Receptive, Element is Akasha and Planet is Earth. 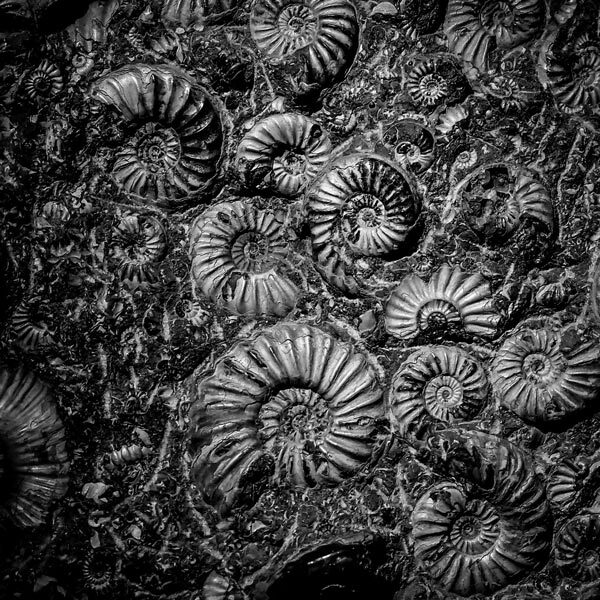 The ritual use of fossils dates back to ancient times. They have been used by Shamans all over the world to amplify energy, and are used by many Wiccans on their alters for their mystic significance. In the Middle Ages, they were known as Draconites. Because of their odd looks they were believed to be stones removed from dragon's heads. When found, they were bound to the left arm to provide magical protection. More recently in Britain, they have been known as Snake Stones.